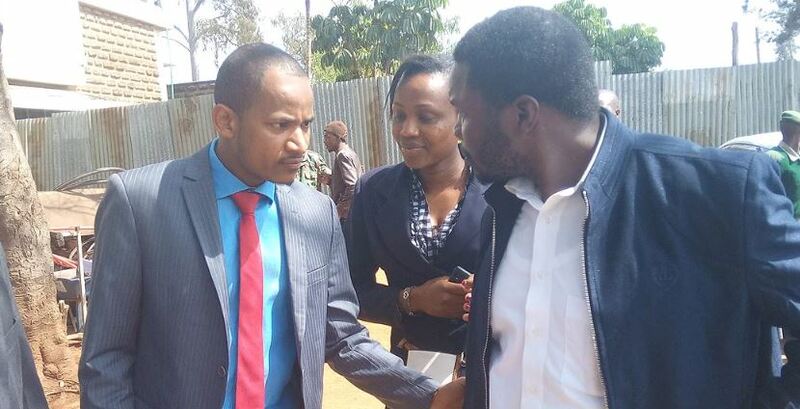 Babu Owino is a happy man after an assault case against him was withdrawn. The outspoken Embakasi East MP on Monday walked out of a Kibera court a free man in the case filed by Joshua Otieno Obiende. The complainant was Babu Owino’s rival in last year’s general election and vied on an Amani National Congress ticket. Otieno had accused Babu Owino of assaulting him at Soweto polling station on polling day. But on Monday, he told Chief magistrate Joyce Gandani that he had been directed by God to forgive Babu Owino. “I have not been coerced. I have done this in the spirit of brotherhood. God directed me to forgive and if God forgives, who cannot forgive,” said the politician. Babu Owino’s lawyer had informed the court that the two had reconciled. “I am happy to report that the parties have come to an understanding to reconcile and the complainant wants to withdraw the case,” the lawyer said. Babu told the court that it was a happy day for him and thanked Otieno for withdrawing the case. “Thank you brother for this gesture,” he said. An affidavit was filed in court to seal the reconciliation.